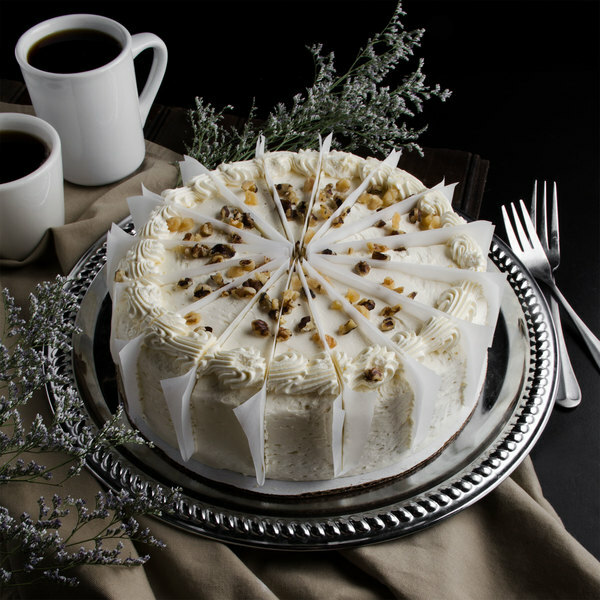 Serve up a decadently sweet dessert with this Pellman carrot cake. With a delightful hint of carrot, this cake is the perfect dessert for any carrot cake lover! 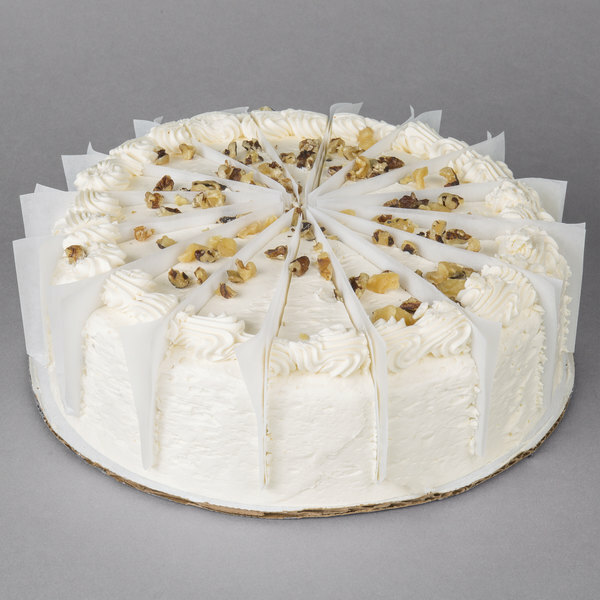 Each carrot cake has two layers of light and fluffy cake separated by cream cheese icing. Additionally, this carrot cake includes grated carrots, pineapple, walnuts, cinnamon, and nutmeg giving it a wide mosaic of complementary flavors! 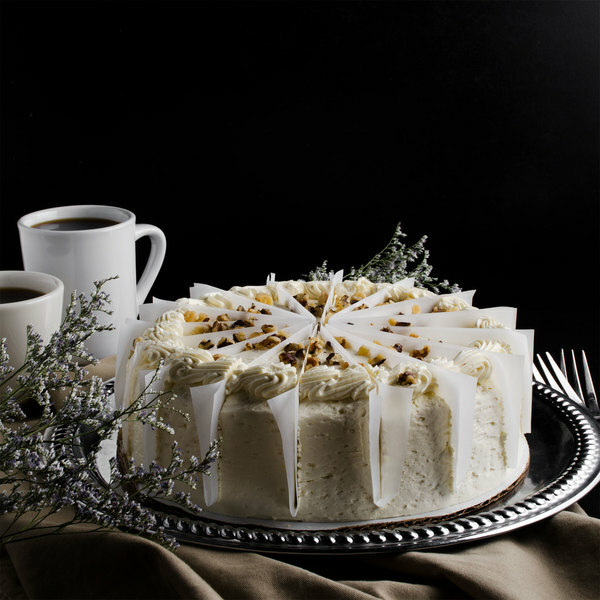 Best of all, this carrot cake is ready to serve right out of the box to save you time and money. It's even pre-cut to save you prep time and ensure portion control. End any dining experience with the ultimate capstone by serving this delicious cake! We are LOVERS of carrot cake!!! And we have tried LOTS of it... 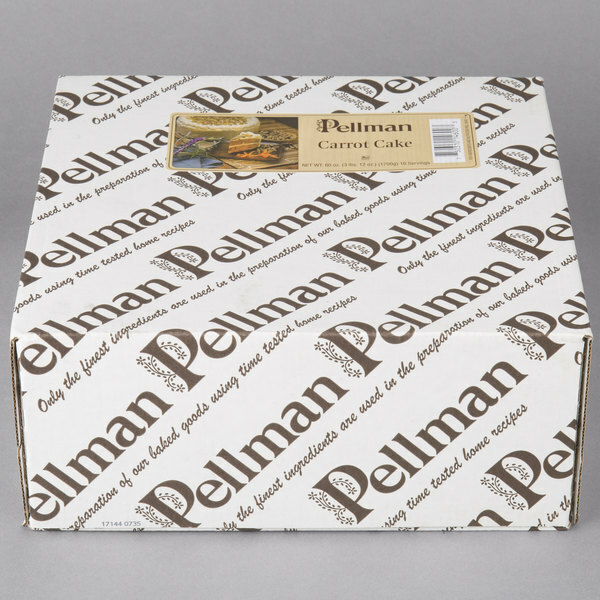 I will Tell you THIS PELLMAN CARROT CAKE IS AWESOMELY TASTEFUL!! A must try!! This is a really good carrot cake! It has nuts in very bite and a great balance of spices. The cream cheese frosting is especially yummy! It's light, fluffy and the perfect amount of sweetness; not too sweet. I could eat the frosting alone! I don't remember a better tasting bought carrot cake. Definitely will keep this one on hand. 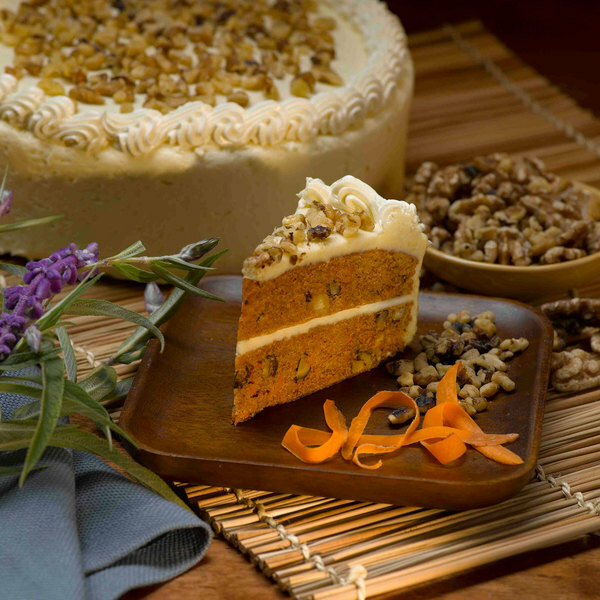 The pre-sliced carrot cake is moist and full of flavor. A great holiday seller at our sweet shop and the icing is sweet and creamy. Very impressed and pleased.